Not all pulmonary hypertension (PH) is the same. PH is a general term used to describe high blood pressure in the lungs from any cause. There are five different groups of PH based on different causes. These groups are defined by the World Health Organization (WHO) and are referred to as PH WHO Groups. WHO Group 1 refers to pulmonary arterial hypertension (PAH), which is caused when the arteries in the lungs become narrowed, thickened or stiff. The right side of the heart must work harder to push blood through these narrowed arteries. This extra stress can cause the heart to lose its ability to pump enough blood through the lungs to meet the needs of the rest of the body. There are several types of PAH. Idiopathic PAH (IPAH) is PAH that occurs without a clear cause. Heritable PAH (HPAH is linked to genes that are inherited from family members. PAH can also develop in association with other medical conditions including congenital heart disease, liver disease, HIV and connective tissue diseases — such as scleroderma and lupus. PAH can even be associated with past or present drug use, such as the use of methamphetamine or certain diet pills. While there are treatment options for PAH, there is no known cure. Arteries are healthy and flexible, blood flows easily through the vessels. 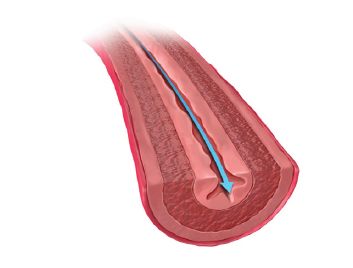 Thick and stiff artery walls limit blood flow and increase the resistance. 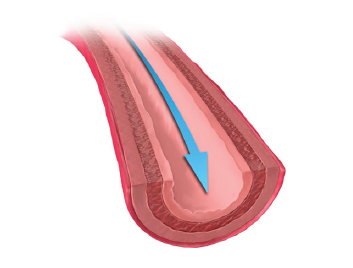 Blood flow is restricted as the artery narrows. Advanced vascular lesions (abnormal growth) and thrombi (blood clots) form. WHO Group 2 includes PH due to left heart disease. In this group of PH, the arteries and lungs are not as thick or stiff as WHO Group 1, but there are problems with how the heart squeezes or relaxes, or problems with the valves on the left side of the heart. Because of this, the left heart is unable to keep up with the blood returning from the lungs — causing a “backup” of blood which raises pressure in the lungs. WHO Group 2 is the most common form of PH. 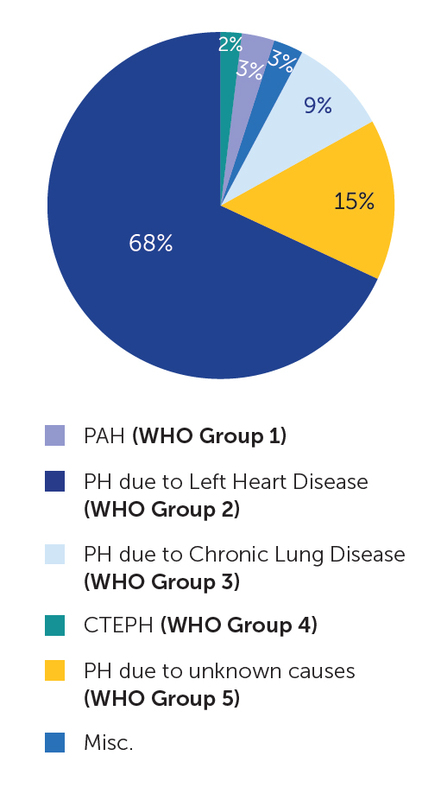 WHO Group 3 includes PH due to chronic lung disease and/or hypoxia (low oxygen levels). These lung diseases include obstructive lung disease where the lung airways narrow and make it harder to exhale (e.g. COPD or emphysema); restrictive lung disease in which the lungs have a tough time expanding when one inhales (e.g. interstitial lung disease or pulmonary fibrosis); sleep apnea; and living in an area of high altitude for a long period of time. Arteries in the lungs tighten so that blood can only go to areas of the lungs that are receiving the most air and oxygen. This tightening leads to high blood pressure throughout the lungs. 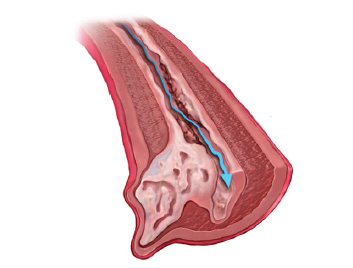 WHO Group 4 is called chronic thromboembolic pulmonary hypertension (CTEPH). 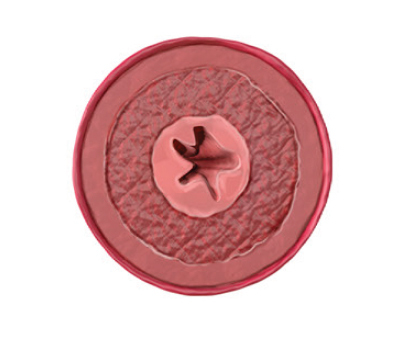 CTEPH can occur when the body is not able to dissolve a blood clot in the lungs. This can lead to scar tissue in the blood vessels of the lungs, which blocks normal blood flow and makes the right side of the heart work harder. This type of PH is unique because it can potentially be cured through pulmonary thromboendarterectomy (PTE) surgery to remove the blood clots. However, not all CTEPH patients are eligible for this surgery. A drug is also available for CTEPH patients if a doctor determines that a patient is not a candidate for the PTE surgery or if PH remains after the surgery. WHO Group 5 is where PH is secondary to other diseases in ways that are not well understood. These associated conditions include, but are not limited to, sarcoidosis, sickle cell anemia, chronic hemolytic anemia, splenectomy (spleen removal) and certain metabolic disorders. No matter the type, PH is a serious disease. If left untreated, PH can lead to right heart failure and death. Fortunately, because of major advancements made in the past two decades, therapies that target the pulmonary arteries (PH-targeted therapies) are available to help relieve symptoms, improve quality of life and slow down the progression of the disease in patients with WHO Group 1. Patients with WHO Groups 2 and 3 can benefit from treating the underlying left heart and lung diseases, respectively. Patients with WHO Group 4 can benefit from either a surgery to remove the clots or a PH-targeted therapy if they are unable to have the surgery or have PH remaining after the surgery. Pulmonary hypertension often arises as a complication of an underlying disease. This can be true for most groups and functional classes. Learn about associated diseases here. Strange G, et al. Heart. 2012;98(24):1805-11. What Are the Different Types of PH? Why Is It Important to Know What Type of PH You Have?